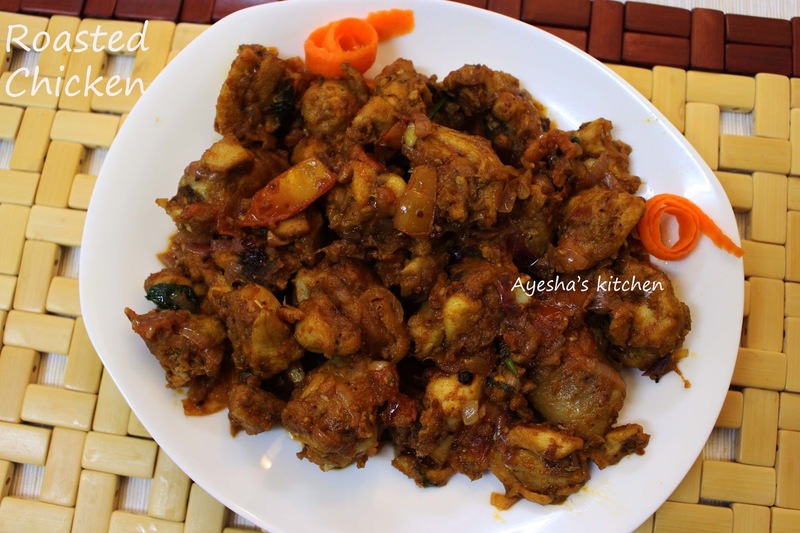 Hi foodies..Welcome to AYSHA'S KITCHEN. Today's recipe is a very common and popular chicken dish in southern India named Chicken Roast. 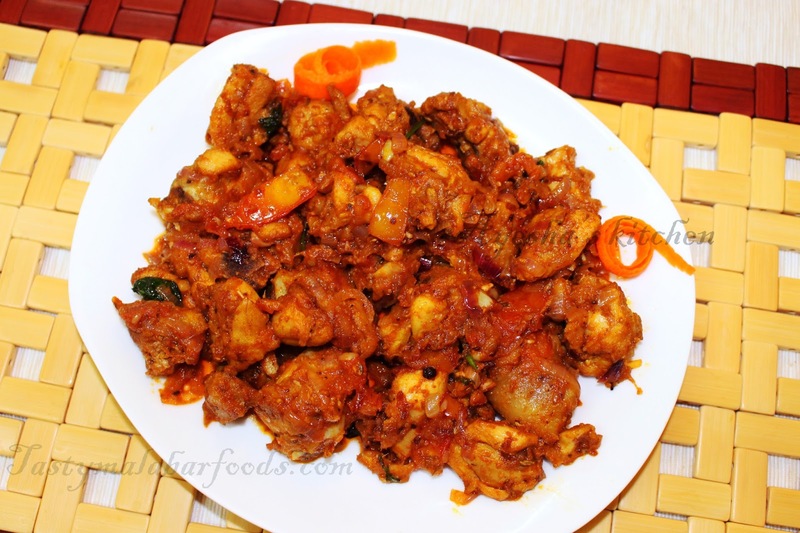 Chicken is cooked and then roasted in onion, tomato gravy along with other spices. A very simple dish. But most of the people are very careless in sauteing onion that affects the entire taste. Here is the recipe of perfect roasted chicken . Hope you all will enjoy this drooling roasted chicken. Make a ground paste of cardamom, cloves, and fennel seed(perum jeerakam) with 1 tbsp of curd. Marinate the chicken with this paste along with ginger garlic paste,turmeric powder,1 tbsp kashmiri chili powder and salt. Set aside for 15 minutes for best result. Then cook the chicken until half done without adding water in a medium flame. Heat oil in a pan, when done add green chilies. Saute for a while and then add sliced onion and saute well till golden in a medium flame only. Now add sliced tomatoes along with remaining 2 tbsp kashmir chili powder and coriander powder. Check for salt and cook well until the gravy becomes soft and mushy. Then add the half done chicken pieces to it and mix well and close the lid. Let it cook in a low flame for few minutes. Finally, when chicken is done add curry leaves and serve hot with chappathi, steam cake.